Having somewhat acquainted ourselves with the city the previous day we decided to explore more. The quickest way seemed to be to get go on one of those open top hop on hop off tour buses! A bit touristy, but it got us around the place quite quickly and we learned about the city. The bus tour also came with a complimentary boat ride on the Danube so that was nice. 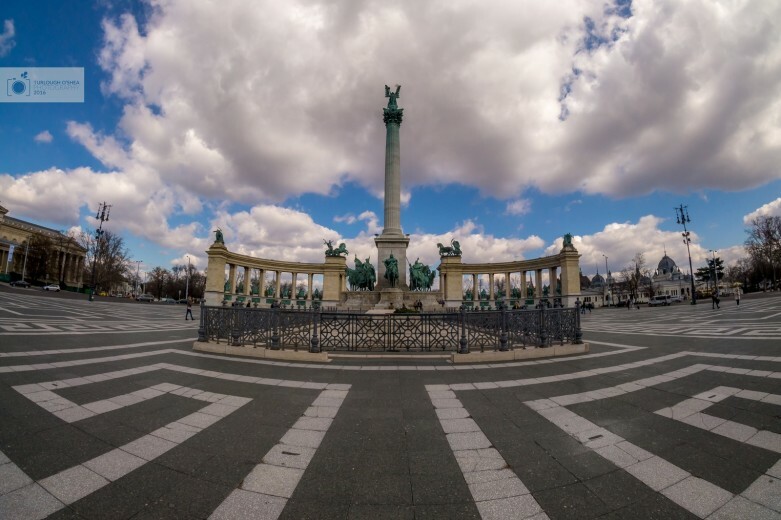 Heroes’ Square is an iconic square in Budapest featuring the Seven Chieftains of the Magyars and other important national leaders, as well as the Tomb of the Unknown Soldier. It’s safe to say that it is a pretty iconic place. We took some pictures (having to wait for a few crowds to clear) and began to explore the area a bit. 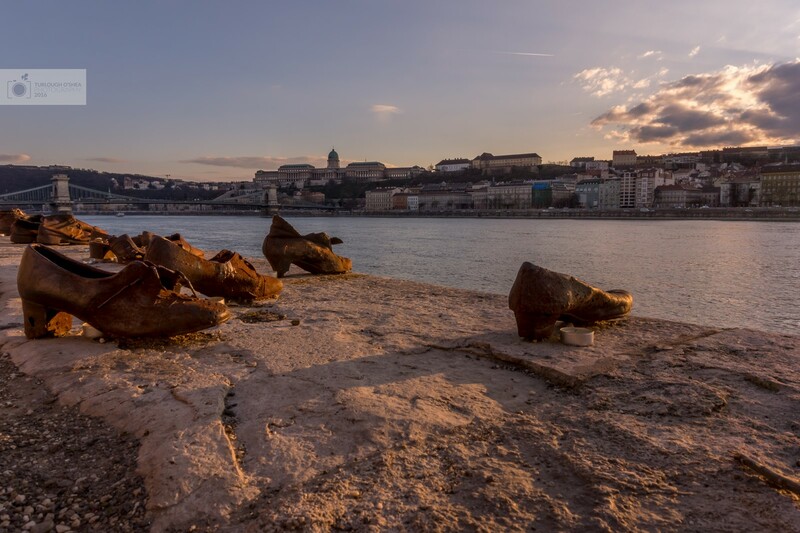 For sunset, we thought it would be nice to make a return visit to the Shoes on the Danube memorial. Slightly earlier in the year may have been better for this shot as the sun was in the wrong part of the sky to affect it properly. However, I still think that the shadows cast by the shoes adds a nice touch to the photo. Earlier in the year there may also be less tourists to have to try to keep out of your shots! 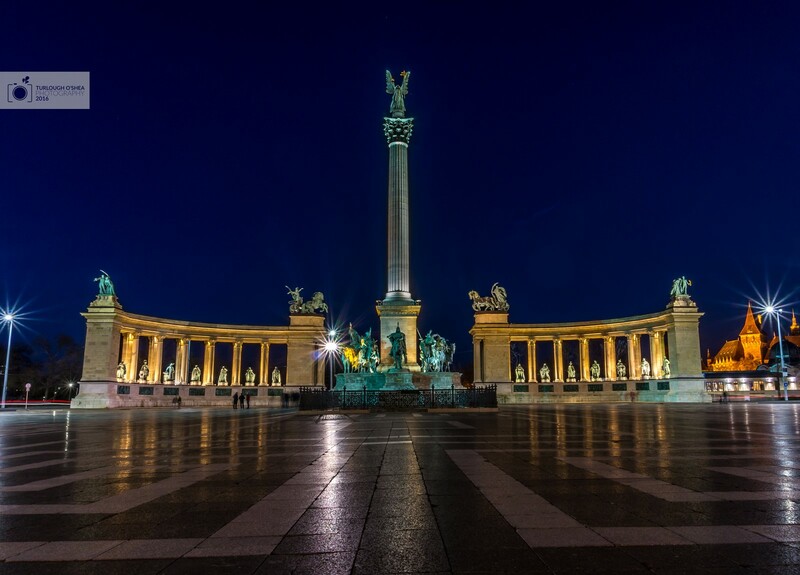 After visiting Heroes’ Square earlier in the day I decided that we had to come back in the evening for a few shots. It might have been a very nice sunrise shot as the sun would have rose in the east beyond the statues. We only got up for sunrise and went to a different location (more on that later). The square was much quieter at night and it was easier to photograph than during the day. The only thing about shooting there at night is that there’s too many lights to properly make out stars in the background and the clouds would be sort of boring. 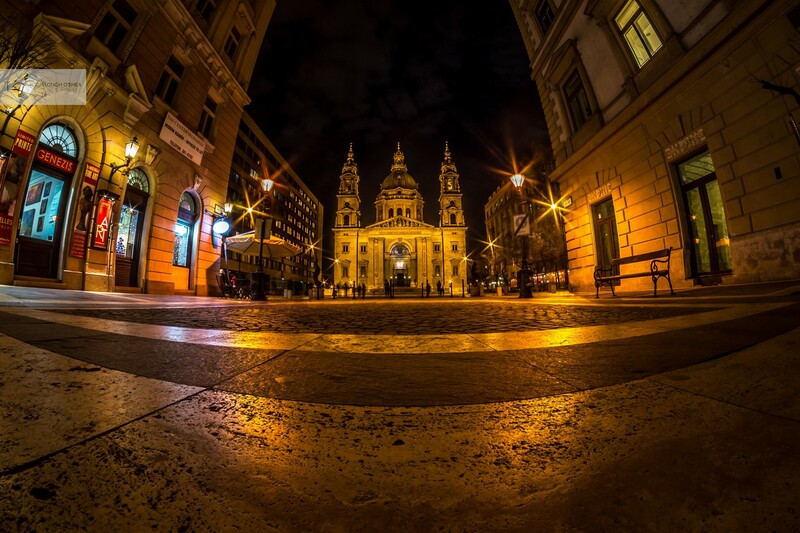 After getting the metro back from Heroes’ Square, we decided to take a little walk around St Stephens Basilica. It is possible more impressive by night as the entire building as well as the surrounding area is lit up. I was trying to look for a unique composition so I decided to go slightly down a street to try and frame a the shot a bit better. I also used a f/16 to get the star effect with the lights. Stay tuned for more to come!